Escape to the Cornish coast for a romantic and tranquil stay at the adults only Fistral Beach Hotel & Spa 4*. 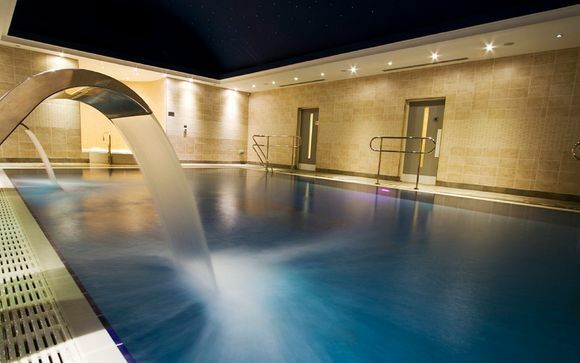 Boasting a sublime spa, a variety of tasty dining options and a breathtaking setting overlooking the iconic Fistral Beach, this charming retreat is sure to steal your heart. Our members will enjoy beautiful sea views from their spacious room, alongside a complimentary daily breakfast and an exclusive spa discount! Majestically placed on a rugged cliff overlooking Fistral Beach, this hotel is encircled by the gleaming Cornish Coast in all its breathtaking glory. The famous beach boasts some of the best surf spots around, with impressive 4-12 ft swells gracing the shoreline. 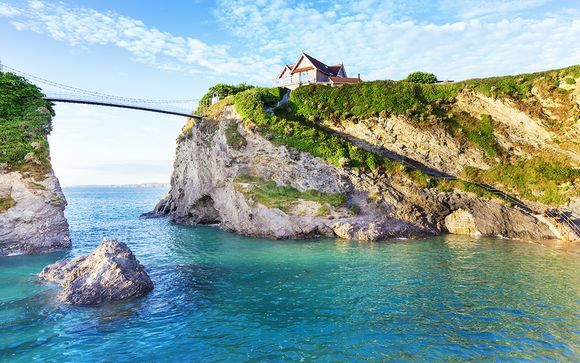 Newquay alone can keep you occupied for days with its gorgeous beaches, fine dining, nightlife and boutiques. Whatever the season, there is so much to see and do in stunning Cornwall! 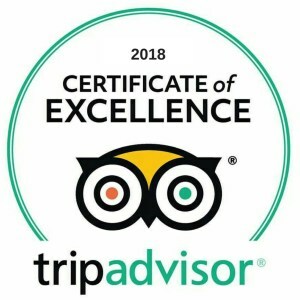 On land, there are fabulous markets, where you can seek out unique treasures and local delicacies; inspiring and intriguing walks with monuments, mines and castles; sub-tropical gardens with rare beauties; and horse-riding Poldark style if it takes your fancy. By the coast, stumble upon secret beaches and picturesque fishing villages; watch the boats bob or the waves crash; tuck into the freshest local seafood or watch a game of Polo on the beach with a glass of Champagne in hand. 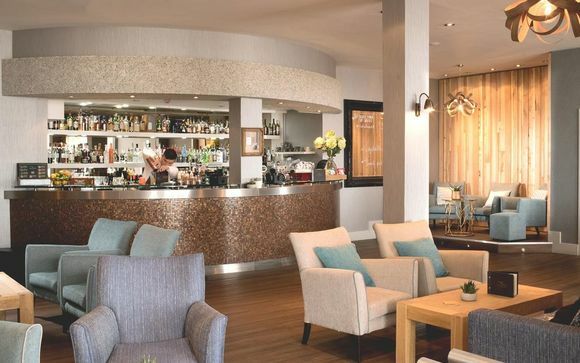 With a stylish spa, an enticing restaurant, a chic cocktail bar and a sandy beach on your doorstep, the Fistral Beach Hotel & Spa 4* provides the ultimate adults only, Cornish retreat. Perfect for romantic weekend breaks or surfing getaways, this hotel has something to offer for guests of all needs. Indulge in a luxurious treatment at the ESPA Spa, dine at the Bay Bar and Dune Restaurant, stroll along the nearby sandy beach, and see what draws so many tourists to this sunny shore. This offer is based on a stay in a Sea View Room. In each Sea View Room, large windows give way to gorgeous sea, beach and surf views, letting the light flood in from sunrise to sunset. 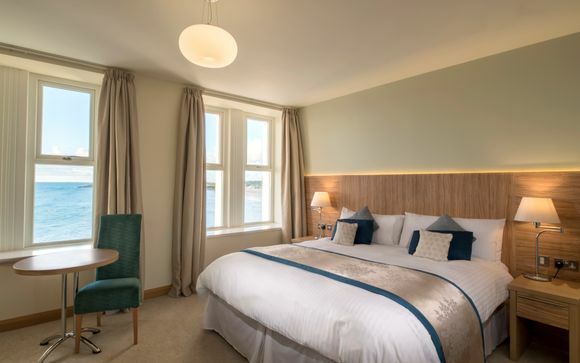 Complete with excellent amenities, including a flat-screen LED TV, free WiFi, tea and coffee making facilities, and a stylish bathroom with luxury ESPA toiletries, these rooms are sure to leave guests feeling relaxed, romanced and totally tranquil during their break in beautiful Newquay. The hotel's restaurant sits just off the iconic Fistral Beach and offers incredible views of Cornwall's world-class surf right outside. The menu is constantly evolving along with the wine list to ensure that guests experience the very best in local fruit, seafood and vegetables. Here, you'll be able to tuck into everything from hearty Sunday lunches to gourmet burgers, from succulent steaks to the best the bay can offer. The Bay Bar boasts jaw-dropping views and serves locally roasted coffee alongside classic cocktails and a varied menu of fresh, locally sourced produce. Why not come and sit back, sip frothy coffees, indulge in a cocktail or two and watch the breakers roll in? In the warmer months you can make your way out to the hotel's sunny terrace. Perched overlooking Fistral Beach at the front of the hotel, this beachside decking is the perfect spot for a mid-summer Pimms or an evening sunset bottle of Prosecco. With comfy, cushioned wicker seating and sun shades, just settle down with your favourite book and soak up some rays. When you're not catching the waves on the beach, you can retreat to the hotel's chic spa and sink into the swimming pool to let the jets work their magic. Alternatively, perhaps you'd prefer to rejuvenate yourself with a session in the sauna complex, followed by a dip in the bubbling hot tub. You can also choose from an extensive range of spa treatments brought to you by experts that will have you forgetting your everyday stresses in no time. The address of your property: Cornwall, Fistral Beach Hotel, Esplanade Rd, Newquay TR7 1PT. 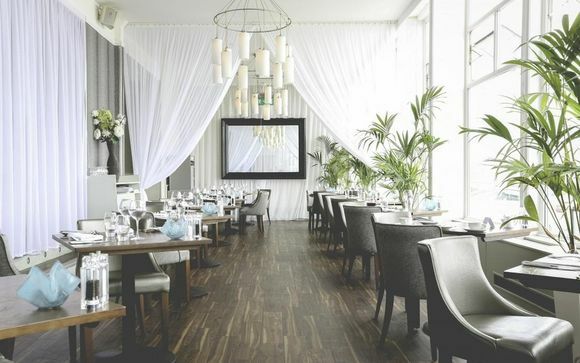 Distance from Exeter Airport to the Fistral Beach Hotel & Spa 4*: 145 km / 1 hour 33 minutes. Distance from Newquay Train Station to the Fistral Beach Hotel & Spa 4*: 2.5 km / 8 minutes. Please Note: This offer is for Adults Only.